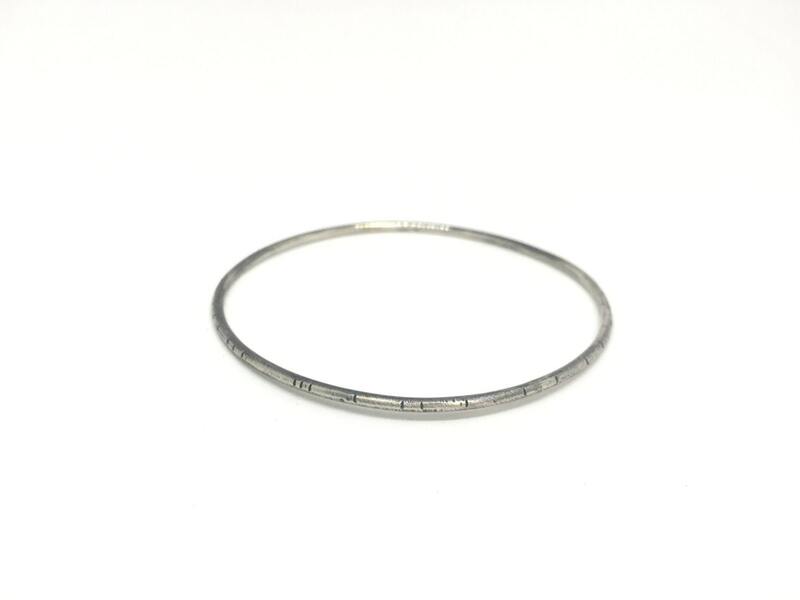 Perfect addition to a stack of bangles or all in its own! 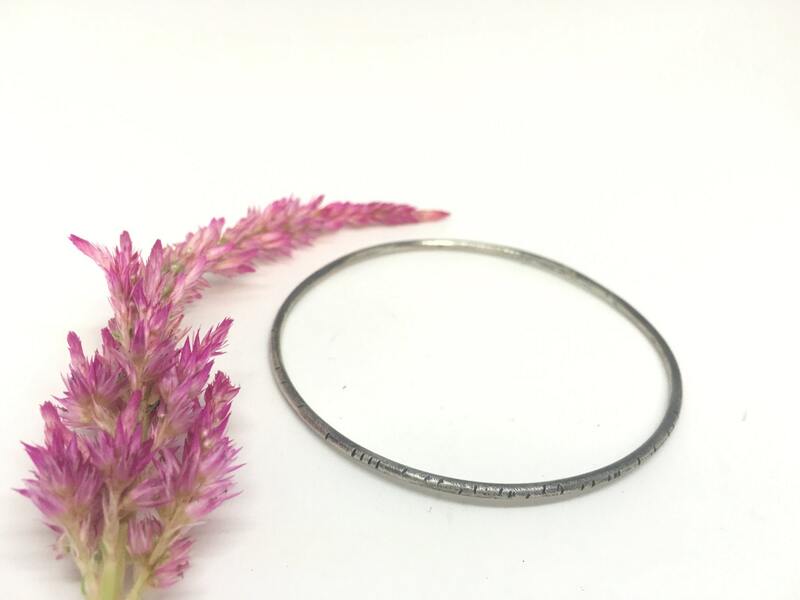 This bracelet has character, it looks like it's been worn through the war and come out the other side reminding you how tough you are and gives you a bit of badass-ness! Made from thick, sterling sterling silver round wire. I've added textured notches, surface texture. I've used my saw, a variety of files and hammers. I've really put this baby through the ringer. I look at this bracelet as a talisman of strength! The bracelet measures a size 8in around but if you need it larger or smaller - just gimme a holler! Measure all the way around your hand (yes, your hand! It's gotta fit over that remember!) at its widest point. Squeeze your hand together like you're sliding on a bangle and the measure all the way around the widest spot). Send me that measurement in the notes during check out.